It’s easy to forget that women’s writing about breast cancer is of relatively recent vintage. But until the 1970s, the disease was the exclusive province of medical men—and their textbooks. The first women to portray the patient’s perspective, to write about their own experience, were established writers and public figures before they took up the disease, with credentials persuasive enough to overcome their publishers’ reluctance. Rose Kushner (Breast Cancer: A Personal History and Investigative Report) was a Washington Post science writer; Betty Rollin (First, You Cry) an NBC correspondent; and Audre Lorde (The Cancer Journals, 1980) a well-known poet. These writers transformed their personal stories into public platforms. Brandishing their own case histories as cautionary tales, they helped to introduce radical changes in both the perception and management of the disease. Today’s widespread use of breast-conserving surgery, for example, is at least partially attributable to the refusal by some of them—and, in increasing numbers, their readers—to undergo radical mastectomies. These narratives opened the door to a new breed of breast cancer chronicle. If it was established writers who first carried the disease into print, it now was the disease that carried the writers. Once the pioneers had established a beachhead for breast cancer in the popular culture, it no longer needed to be chaperoned by celebrities. Musa Mayer (Examining Myself: One Woman’s Story of Breast Cancer Treatment and Recovery,) was a community mental health counselor; Rosalind MacPhee (Picasso’s Woman: A Breast Cancer Story, 1996) was a paramedic. 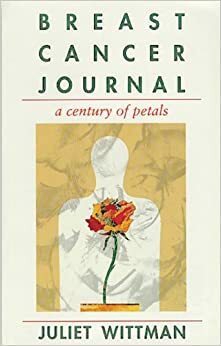 Juliet Wittman (whose Breast Cancer Journal: A Century of Petals, was nominated for the National Book Award in 1993) was, more typically for the genre, a writer and teacher. Online media have bred a tolerance for a kind of indeterminacy that traditional books typically shun. The open-endedness of the new formats approximates the lived experience of breast cancer much more effectively than have traditional narratives. Blogs and tweets describe the side effects of treatments in real time. They are usually unprocessed, first responses to recent events, raw and immediate. More traditional disease narratives are, by contrast, written retrospectively, when their authors have had a chance to think back on their experience and to apply more critical judgment to what they have been through, from the perspective of their situations at the time of writing. Online, there is no need for writers to adhere to narrative conventions, shaping their stories with a view to what will follow—or polishing their prose. It is all much more informal and impromptu. With readers encouraged to respond through comments and tweets, the interactions can come close to conversational exchanges. The breast cancer diarist has become a team player; so too have all of her readers. Those in treatment need not feel as isolated as they have in the past. Judging by the proliferation of these websites and the number of visitors they attract, the loss of whatever literary pleasures were to be had from published books in the genre seems to have been more than outweighed by the blogger’s usefulness to a much wider readership than the books could hope for. But it is the very visibility and ubiquity of these blogs that has raised hackles in some quarters. A recent New York Times column by Bill Keller and one in the Guardian by his wife, Emma Keller (later removed) ask whether there might be such a thing as “too much information,” and question the ethics of dying in a public forum. Both Kellers take issue, specifically, with the blog and tweets of Lisa Bonchek Adams, a 37-year-old woman with metastatic breast cancer. The Kellers’ columns reveal not just a lack of understanding about the nature of the disease but a serious misreading of Adams’ own approach to it (for one of many good critiques, see https://medium.com/technology-and-society/4d811b45840d ). In the context of the forty-year history of breast cancer narratives, the Kellers’ reactions point to something else, too. For much of the twentieth century, female maladies remained a source of shame, to be neither spoken nor written of. Then came the publication of Our Bodies Ourselves in 1970, and shortly thereafter, the first printed breast cancer memoirs. The authors of these books expected to survive; few confronted death head on. This was in line with the limited nature of public discussion at the time; metastatic (Stage IV) disease had not yet emerged as a legitimate subject of its own. The recent leap to online narratives has changed all that, facilitating a shift to candid conversations in real time that are overshadowed by death. But the once-secret details of female bodily function—and dysfunction—have become not just commonplace; they have been mobilized to create a kind of experiential data base, a new layer of understanding that women can bring to the table when negotiating their own way through the maze of treatment. It is not surprising to find that many people fear the comprehensive “breast-baring” that is at play here, just as they fear the direct confrontation with mortality. What is surprising is to find these fears so disingenuously misrepresented as an ethical issue rather than as a question of empowerment. Ellen Leopold is the author, most recently, of My Soul Is Among Lions: Pages from the Breast Cancer Archives, a selection of her writings on breast cancer over the past twenty years. She is also the author of A Darker Ribbon: Breast Cancer, Women and Their Doctors in the Twentieth Century.